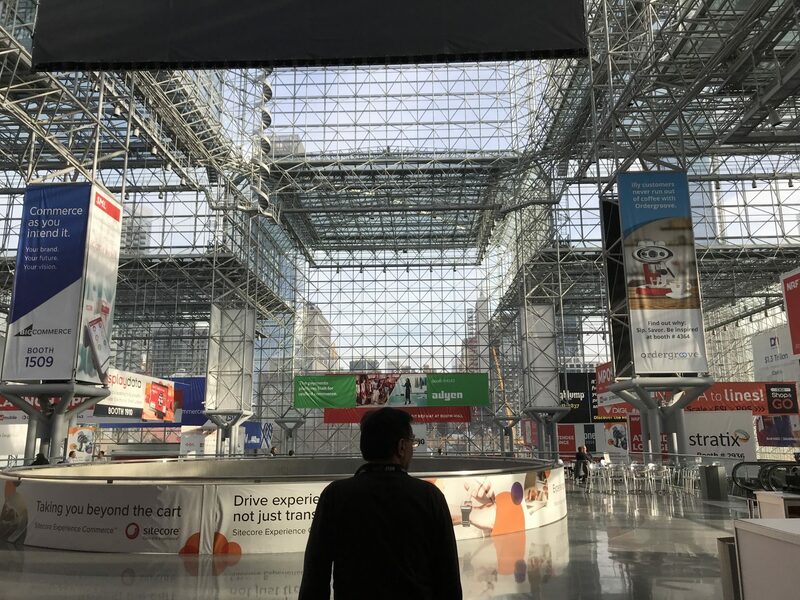 We’re back from Retail’s Big Show, the NRF 2019 conference, and WOW, what a show it was! Do you know that feeling of déjà vu? When did you see something and feel as if it’s happened before? 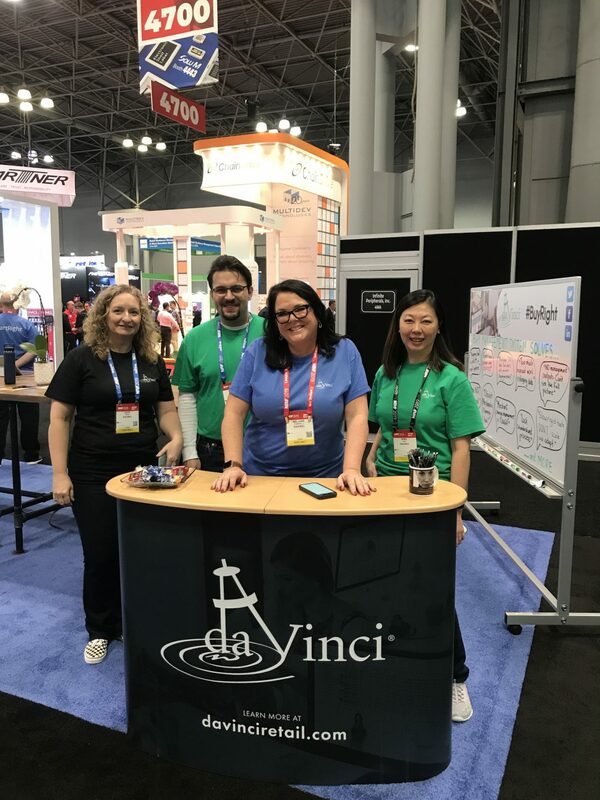 That’s what we experienced because a couple of months ago we had a vision of what we wanted to exhibit at NRF 2019 — a fresh new look for daVinci, a new way for people to interact with the freshest retail experts on the block. We had such a strong picture of what we wanted, to see it come to like in precisely the way we envisioned… déjà vu. The NRF 2019 show kicked off with its international day, always a highlight. We met with business leaders from all over the world. It was great to connect with movers and shakers from around the world and hear about the challenges and opportunities ahead of them. These three themes resonated throughout the entire show. Analytics for omnichannel and business intelligence was a huge discussion point this year. Although we discovered several analytics platforms, such as FirstData (who had a really nice booth and theme! ), underneath all of the marketing from these companies it felt as if it was the same product packaged differently. What does this tell us? 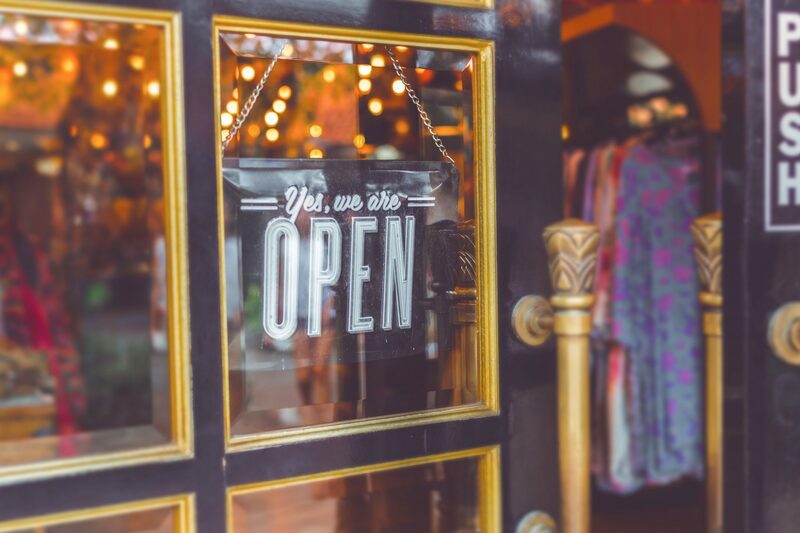 The demand for retailers going digital has never been so high and the supply of analytic platforms has never been so popular. 1. First Data: POS and customer analytics platform that delivers insights into your customers’ purchasing behavior, shopping trends and performance month over month. A public company, First Data had a very good budget for the event. Casual and coffee was their theme this year. 2. LightSpeed: Retailers can manage inventory, services, store data, staff, and customer relationships all in one platform with LightSpeed. They did a great job this year on their booth, catering mostly to the small and medium-sized retailers and wholesalers looking to digitize their business operations. 3. Oracle & NetSuite: One unified business management suite, encompassing ERP/Financials, CRM and e-commerce. Oracle’s acquired NetSuite, who actually built the software for retailers, in 2016. 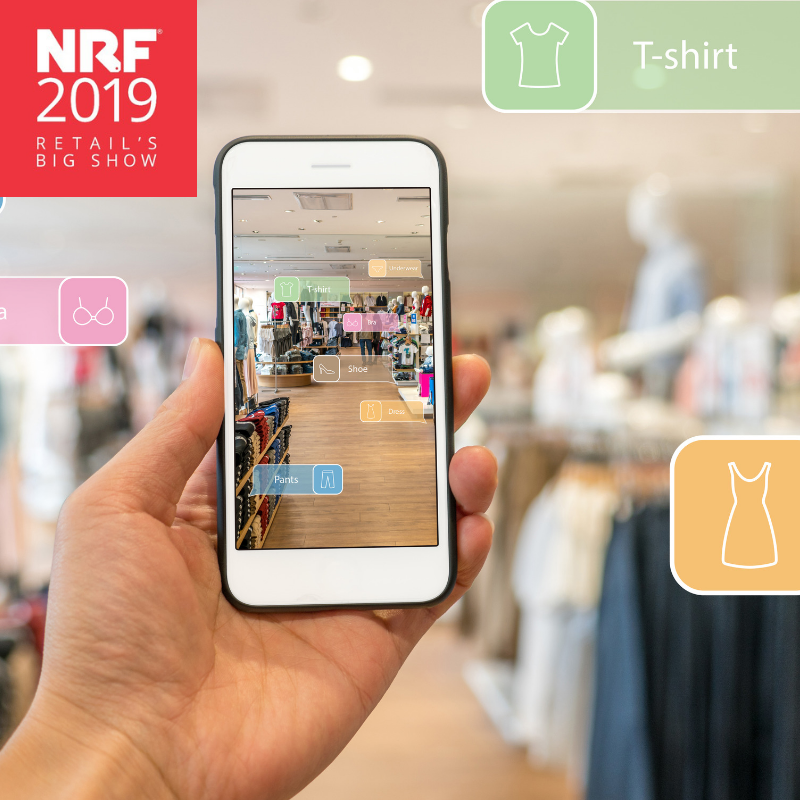 They cast a wide net at NRF 2019; the retailers who are likely to be their clients are in the 1,000+ employee size. 4. 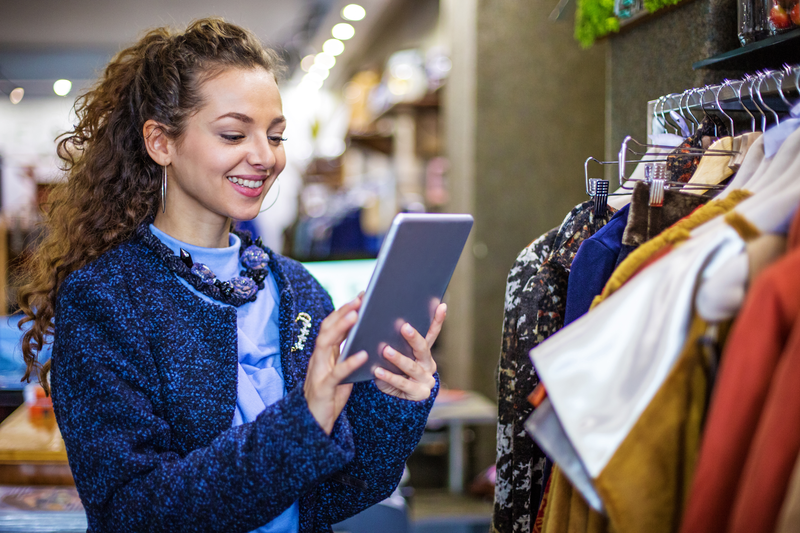 SAP Retail: SAP Retail delivers an end-to-end experience to retailers, by tapping into their data portal and accessing their business data from supply chain to marketing and customer experience. They have it all — for one big price. They targeted much larger retailers at the show. 1. PAX: The PAX booth was right next to daVinci this year, and they did it up big. Nice couches and a lot of TV of product demos drew in a large crowd. Pax is hitting 2019 with the launch of their new POS hardware with a built-in Android app that allows retailers to add other apps — for data collection, CRM or other APIs — to help inform everything from business data to customer payment and behavior. 2. 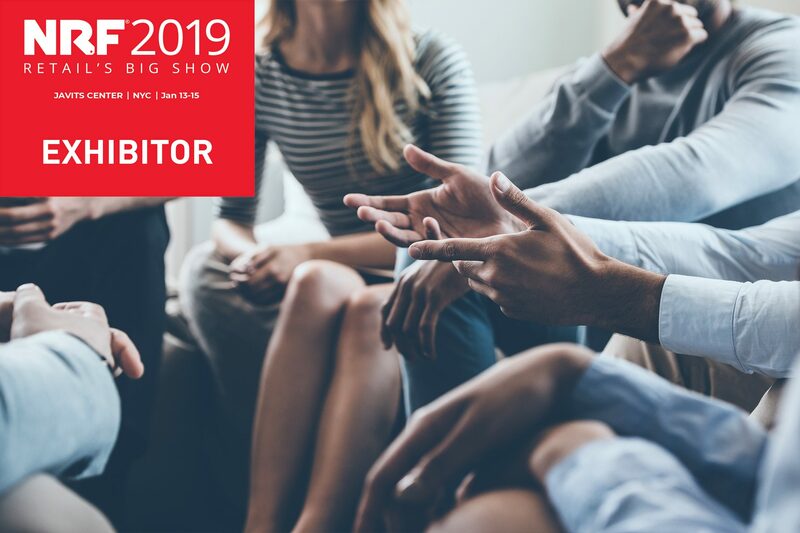 Adyen Payments: This year at NRF 2019, it was refreshing to see new companies that are quickly growing from the right positioning message. Adyen provides retailers and stores with an all in one payment processor that gives data insights and fast user experiences. 3. Epson: Although they are traditional, they hit Retail’s Big Show with a boom, showing off a new approach to printing receipts for customers. They’ve pivoted from larger and traditional booth to a new and fun vibe to their brand. In the era of “fast and quick,” with giant companies such as Amazon launching AmazonGO, we’re witnessing more small companies competing with the giants. The question remains, will they submit to these bigger players via a merger or will they have the staying power to surpass them? We’ll let the market decide. Thought leadership on technology was another big theme at the show, and we saw a surplus of retail experts who understand the market and the challenges smaller retailers are going through. These are challenges that, once overcome, can unlock a new stage of growth. 1. 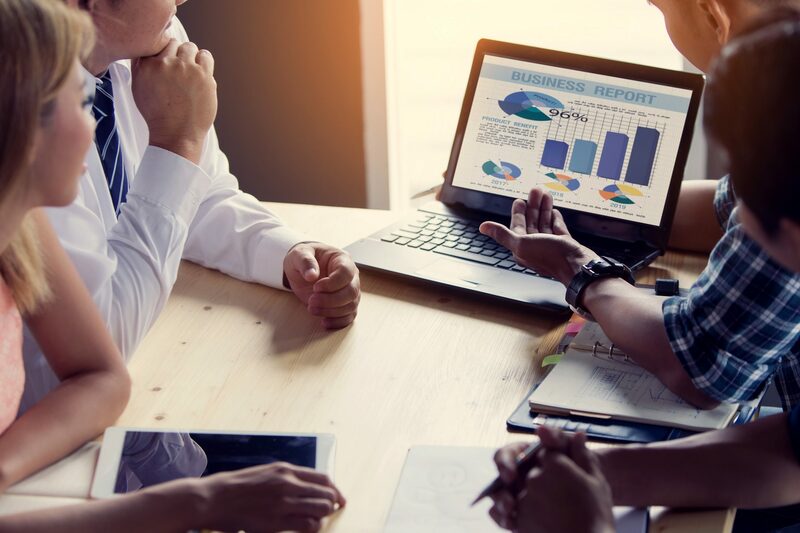 Parker Avery: An expert strategy and retail consulting firm who leads apparel and fashion retailers to integrate customer insights and digitization. 2. Gerber Technology: With 50 years in retail, they’ve become an expert shop for everything retail, by giving their customers the tools needed to maximize quality and profitability. This year, we met some of their thought leaders who know retail! 3. Gillespie Manners: They’re very focused on what they do: finding the best executive to get the job done for retailers. As you can see, Retail’s Big Show gave us a lot to talk about, and a lot to consider for the year ahead. What did you think of NRF 2019? Be sure to follow us on Twitter and let us know your thoughts! Lastly, we want to give credit to our team at daVinci. We’ve built some amazing relationships with leaders and retailers that we would like to continue working with. Our team had a short time frame to bring our NRF 2019 vision to life, and our new look and feel came together better than we could have hoped.